Product prices and availability are accurate as of 2019-04-18 12:59:46 UTC and are subject to change. Any price and availability information displayed on http://www.amazon.com/ at the time of purchase will apply to the purchase of this product. 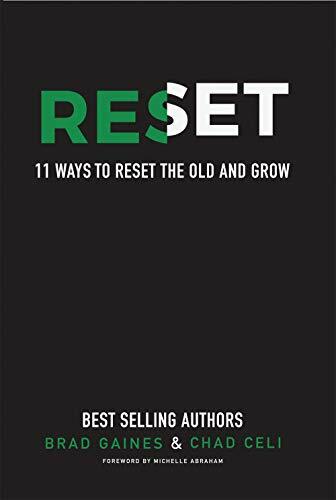 Author Bookstand is proud to offer Reset: 11 Ways to Reset the Old and Grow by Bookstand Publishing. Reset: 11 Ways to Reset the Old and Grow has generated a lot of interest and excitement and we think it would be an excellent addition to your library. RESET authors Brad Gaines and Chad Celi are principals of the marketing firm Reset Strategies. Their work with companies, ranging from family corporate all the way to the Fortune 500, has been highlighted in Forbes, Inc. Entrepreneur, The Wall Street Journal, and Fast Company, and seen on CBS, ABC, NBC, and FOX.